You have a medical appointment on the calendar. You leave in plenty of time to make the drive across town to the medical campus in which your provider is located. After navigating through the maze of buildings and parking at a distant lot or structure, you make the long walk to the provider’s office. You enter, sign in at the desk, and sit down in the crowded waiting room and leaf through old magazines or glance at a muted television while you begin the (often long) wait to be called to your appointment…only to think that there has to be a better way! But instead – imagine leaving your house and driving a short distance only to turn into a safe, well-lit and highly visible shopping center entrance. You quick enter the center which is buzzing with constant activity (day, night or weekend) – and park just steps away from the front door of your medical provider. If there is a wait to be seen, you are given a pager (just like at a busy restaurant), and stroll a couple doors down to grab a cup of coffee or pick up some groceries and ‘multi-task’ while you wait to be buzzed for your appointment – or your companion that accompanies you to the appointment gets a haircut, a quick workout, does some banking or has a bite to eat. This reimagined “patient centric” medical appointment experience is everything it needs to be. Close. Convenient. Accessible. Safe. And with amenities and activities to keep you and/or your companions entertained and productive if there is a wait. This fusion of medical + retail – it is the experience at a “Med-Tail” Shopping Center! Americans are increasingly in need of more medical services and are spending more and more time and money on healthcare – according to the CDC 85% of Americans visited a medical provider in 2014 – part of 925 million+ annual medical visits – and over $3 trillion is spent on health care annually. Medical services are increasingly moving away from a centralized, hospital-oriented model to a specialized, outpatient approach delivered through urgent care centers, family practice clinics, dialysis centers, MRI facilities, surgery centers, dental and orthodontic offices, and others. As a result, the old model of medical providers locating on large and expansive hospital campuses or in sterile office buildings, often far away from a patient’s home and office, is transitioning to a site selection strategy driven by convenience, accessibility, value, and experience. Increasingly, this process is driving medical providers to locate in alternate environments – such as shopping centers. 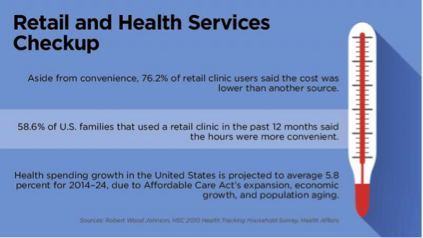 Put simply, “Med-Tail” combines multiple health care and retail tenants in single environment – and “Med-Tail” Centers demonstrate how medical providers and retailers have adapted to develop a patient and customer-centric approach to the changing marketplace. 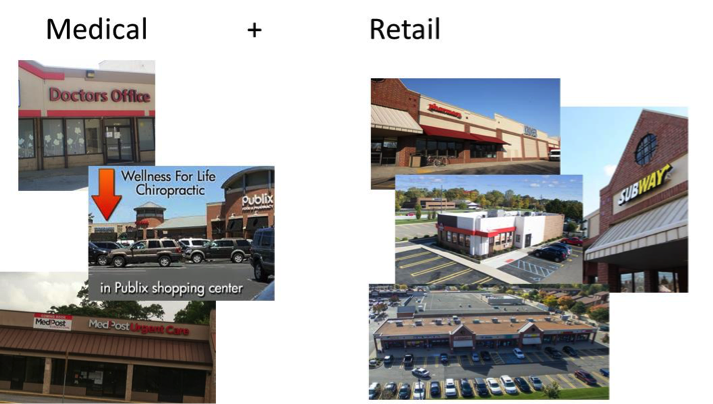 “With the era of retail medicine fast approaching, health care providers and medical specialists are increasingly opening facilities in shopping centers, which offer an attractive combination lower-cost space, convenient access for patients and ample parking” (source: CoStar).Locating health care-related tenants in shopping centers has significant advantages to both medical service providers and their patients. 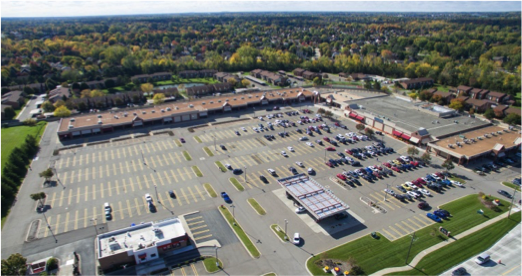 Many shopping center suites offer customizable, accessible, visible and inviting space – and even synergistic co-tenants (e.g. fitness centers, massage clinics, weight loss offices, hearing aid centers, healthy food and service purveyors etc.) that often pair nicely with a medical service use and an overall health and wellness theme. And the amenity factor is significant – with a plethora of shopping, dining and entertainment options literally steps away from a medical provider, a patient (or companion) can grab a restaurant-style pager from the medical provider and take advantage of the time-saving and/or enjoyable options in the event of a protracted wait. 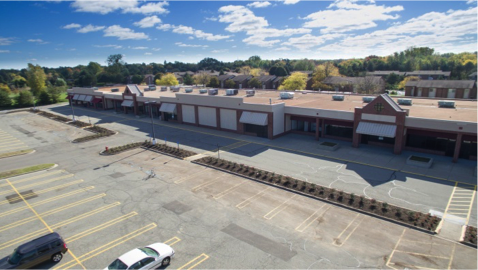 Additionally – and not to be overlooked for medical providers – is the fact that occupancy costs in shopping centers can often be the same or less than a comparable space in a medical office building or hospital campus. Finally these benefits and advantages to both providers and patients of co-locating in a “Med-Tail” Center appeal across the age spectrum – from time-sensitive Millennials who appreciate the benefits of proximity and multi-tasking at “Med-Tail” Center, to Baby Boomers who are increasingly spending more and more of their time and income on medical care, to Senior Citizens, including adults 65 or older who, according to the CDC, make 7.6 doctor visits, on average, a year and prefer safety, ease of access, and convenience afforded in a “Med-Tail” Center. 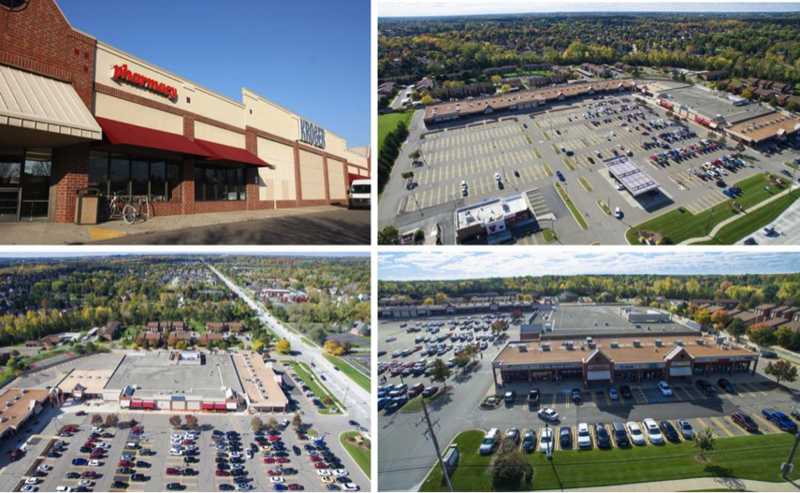 Grand/Sakwa acquired Northridge Commons in Livonia, Michigan at the end of 2015. Northridge has historically been a classic neighborhood center that serves the dense, middle-to-upper income population that resides in nearby subdivisions of Livonia. Over 85,000 households and 200,000 people live within 5 miles of Northridge Commons – and more than 160,000 people work in daytime employment within the same area. The average household income in the one, three and five miles around Northridge is between $85,000 and $90,000 annually. Northridge has long been a longtime home to a major national grocer (Kroger) and many convenience tenants that provide food (e.g. Arby’s, Subway, and Papa Romano’s) and ‘daily needs’ services (e.g. salons, insurance, banking). Grand/Sakwa’s plan is to redevelop and reposition the “East Wing” of the Northridge that had been neglected by previous ownership with a “health and wellness” focus in an effort to create a “Med-Tail” Center. Grand/Sakwa is positioning the East Wing of Northridge as a “health and wellness” area to complement the existing ‘daily needs’ uses offered at Northridge and serve the high density, high income residents of the area. A lease has already been signed with the 18,000 square foot Burn Fitness club, an established local fitness operator that provides a high level of personalized service and access to a wide variety of fitness equipment, group exercise classes, personal training sessions and child and family friendly services at low monthly rates. Grand/Sakwa plans to continue building on this “health and wellness” focus by attracting additional health, medical and wellness uses for the remaining 25,000 square feet in the center’s East Wing – completing a transition of Northridge Commons from a traditional grocery-anchored neighborhood center to a mixed-use, vibrant, sustainable, “Med-Tail” center and environment.